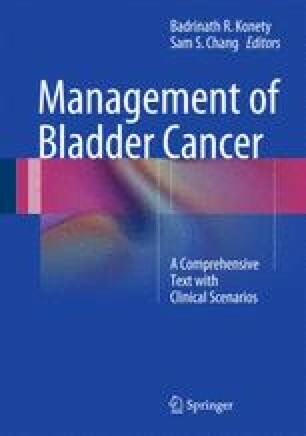 A number of evidence-based guidelines exist for the management of non-muscle invasive bladder cancer (NMIBC), including those published by the American Urological Association (AUA), the European Association of Urology (EAU), the International Consultation on Urological Disease (ICUD), and National Comprehensive Cancer Network (NCCN). These guidelines serve to equip the clinician with an evidence base for treatment decisions at various points in the clinicopathologic course, of import given the complexity of managing a neoplasm with a high likelihood of recurrence and progression. Herein we detail the methodology utilized in the creation of the aforementioned guidelines, noting the similarities and differences in the panels’ approach. We apply the AUA, EAU, ICUD, and NCCN guidelines to specific clinical vignettes oft encountered in the management of NMIBC, highlighting where consensus and dissensus exist. Finally, we discuss the strengths and limitations of guideline-based management, in particular the ability of guidelines to account for clinically relevant variables such as patient age, preferences, and response to treatment.